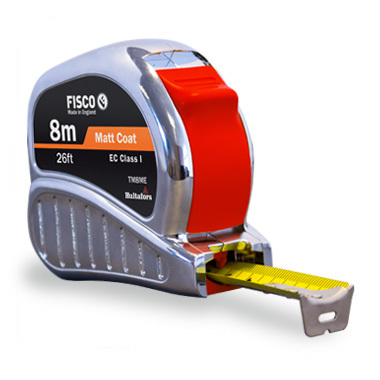 A high specification tape measure designed for the professional user. The tape is housed in a tough ABS case with a high quality chrome finish and has a blade which is accurate to EC Class I. The effective bump stop gives added blade and end-hook protection whilst the easy-to-operate positive lock minimises blade slip. Tough ABS case with high quality chrome finish. Triple rivet end-hook on 25mm wide blades and reinforcing plate on 19mm and 25mm wide blades.